renovating every year to restore the life of the ocean. 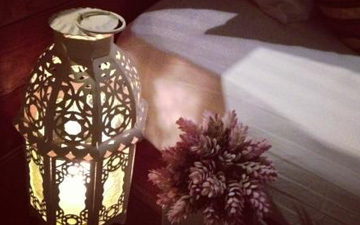 those who seek to discover a renewed sense of well-being. A small population of Koh Mak oer a peaceful and hardly any trac on the island. 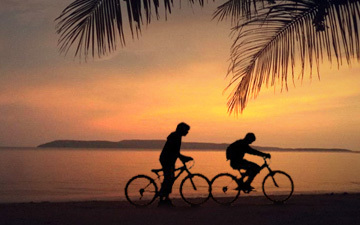 Most people on the island travel by bicycle and motorbike with only limited number of cars. 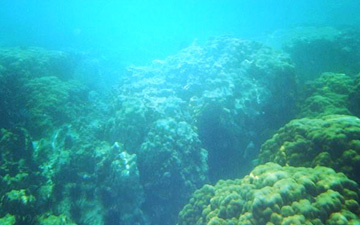 The Gulf of Thailand has a wide range of sh is home to many marine life. It is generally warmer and less saline than the Andaman coast. 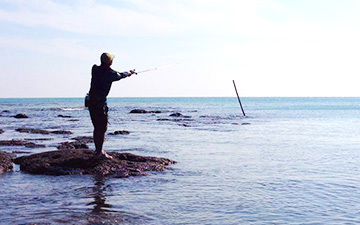 Fishing in Thailand is a year-round sport, October to March is generally the best period for the Eastern water. 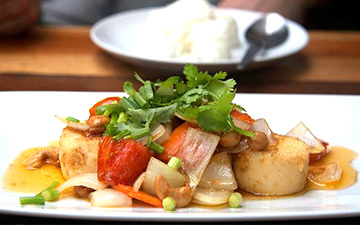 Join a private trip with the locals shermen for a new shing experience. 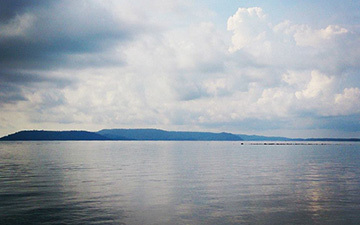 The sea around Koh Mak are always calm and open for kayking even you’re beginner or advance. Little Moon oers a free use of Kayak for all our guest. 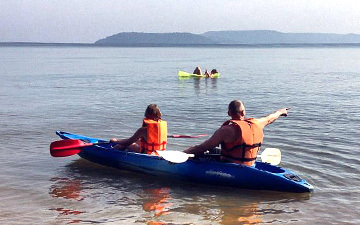 Koh Kradad, Koh Kham and Koh Rayang can also be reached by kayaking straight from Koh Mak. The Eastern Thai region oers divers an amazing range of diving destinations. The biggest shipwreck of Thailand now lies 20 metres under the Eastern sea between Koh Mak and Koh Chang. The dive sites are still uncrowded and yet ready for Advanced License divers. Koh Mak had been oering diving experience for more than 15 years with licensed PADI instructor and customer satisfaction from non-diver to professional level. Koh Mak, with an area of only 16 sq km and a 27 km coastline, is the third largest island of Koh Chang Marine Park. Routes on Koh Mak are still not fully constructed. You can get around the island yourself by foot. The ground is at with plenty of coconut, pineapple and rubber plantation. There are only a few hundred people living on the island. get back to your country. 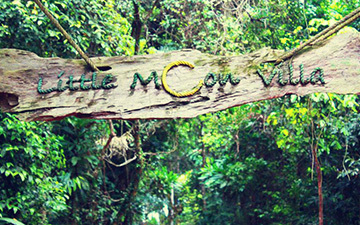 Koh Mak situated in the middle of Koh Chang, Koh Wai and Koh Kood. Little Moon also oer a private day trip to nearby neighbor islands. 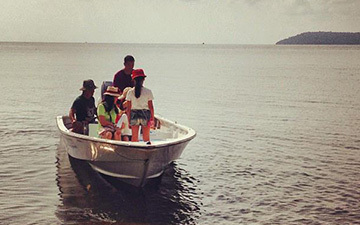 There’re also public speedboat service connected between islands to islands during the high season. chance to taste the freshness of seafood straight from the sea and signature dishes from our experienced chef.